Usually I bought an antique item, however this time I choose a modern jewellery. 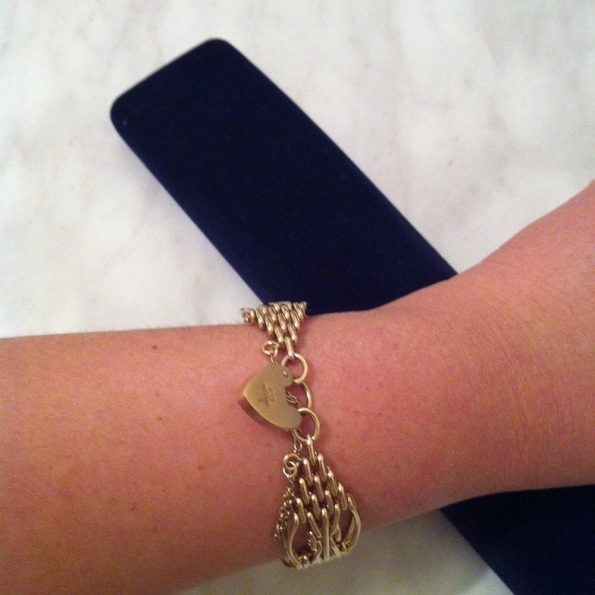 It is a bracelet with heart padlock. The links are so fancy and unique. It is made from 9ct gold. 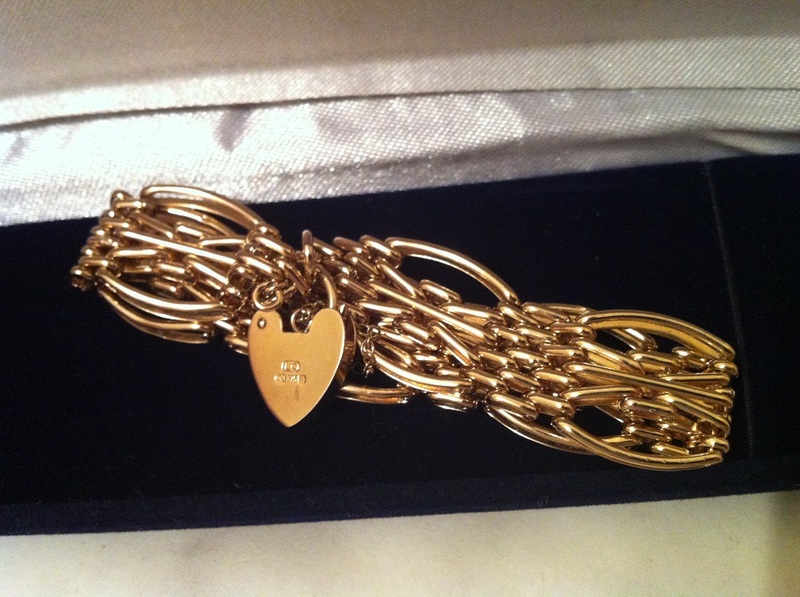 And it has English hallmark for 9ct gold. The heart padlock has hallmark of: a marker’s mark, 375, a scale, and a rose. The marker’s mark is LC (which I am not sure what company or who does it stand for). A rose represents the city mark of Sheffield. 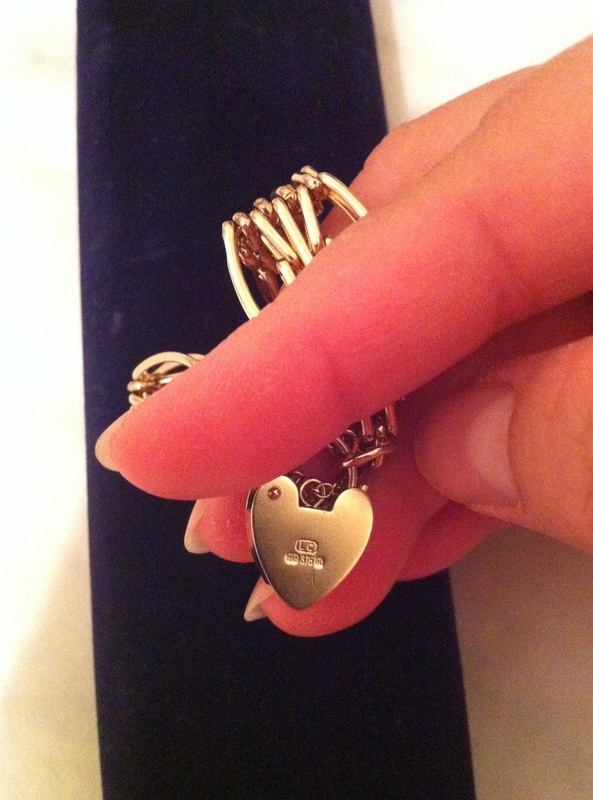 Interestingly, there is also a hallmark on one of the rings that attached to the padlock. Even though it is a small hallmark, I think I can recognise an anchor, which is a town mark of Birmingham. 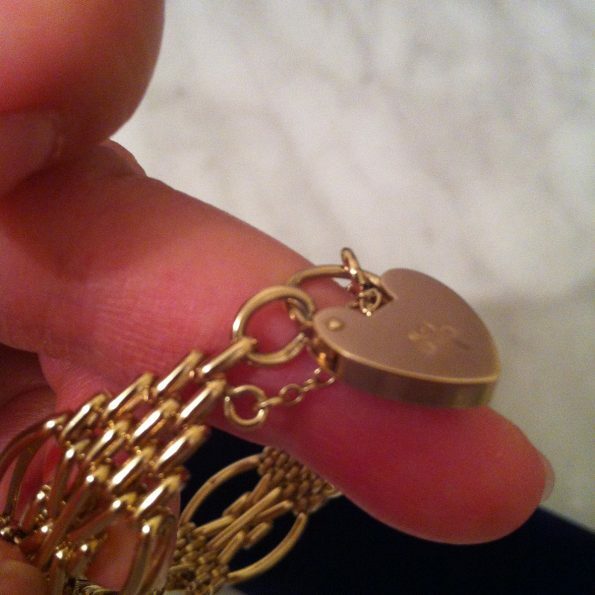 So I guess the padlock is not originally attached to the bracelet. 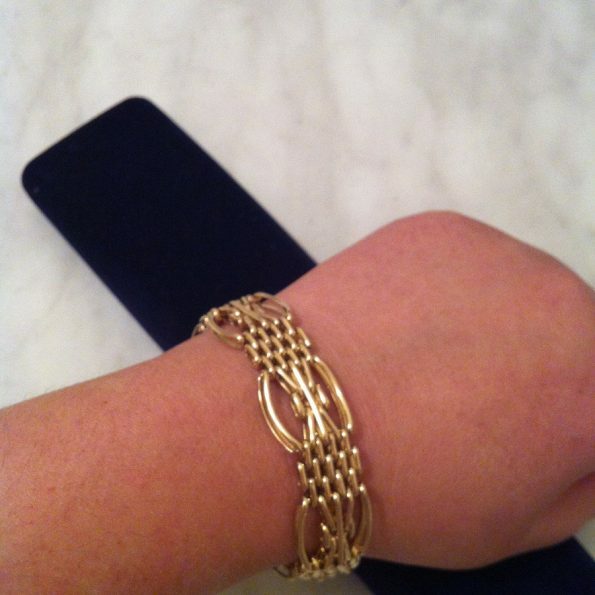 Link bracelet, how it looks on the hand. 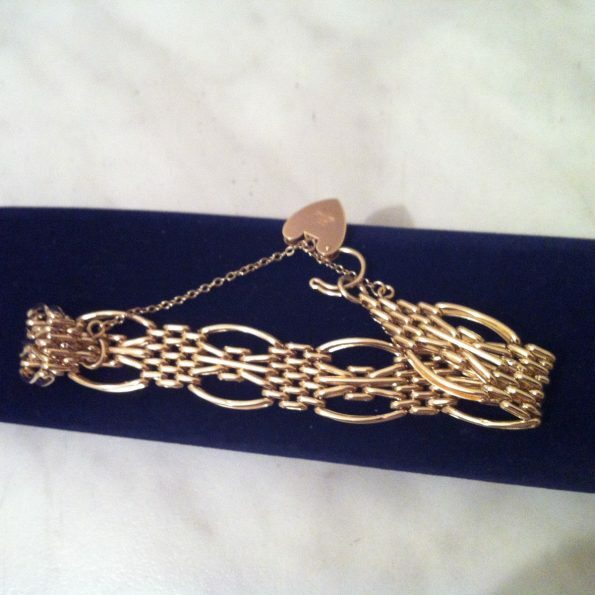 It is a modern bracelet. And I cannot really guess how old this bracelet is. I think it is probably made in the 90s. 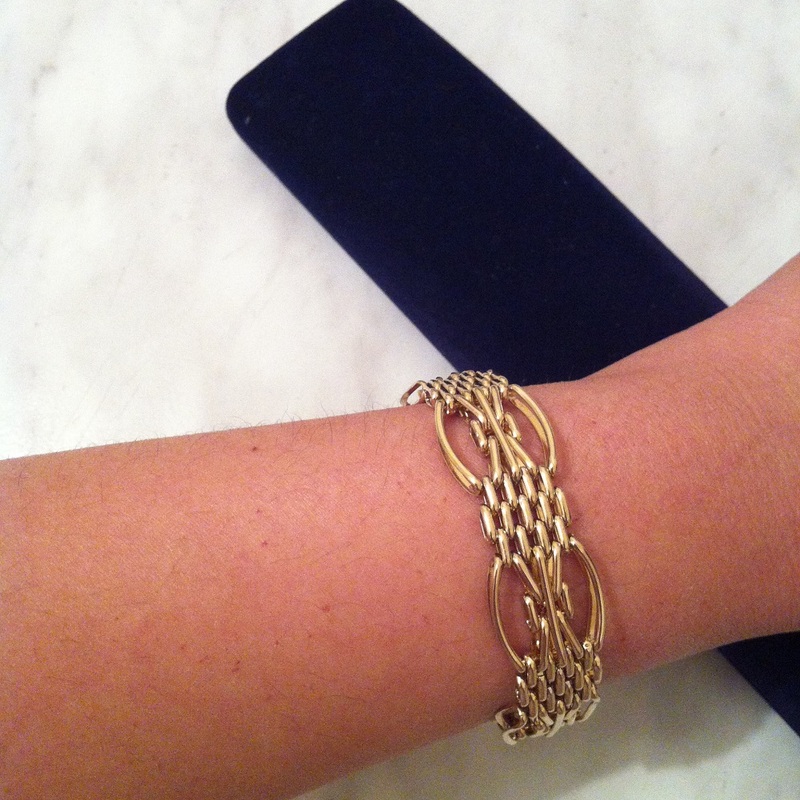 The bracelet is equipped with a safety chain to protect it from falling off your hand. The bracelet size is not too big. Its weight is 25 grams. If you have a big wrist, the bracelet will look small on it. I just keep it in the box. I will wear it only on special occasions. All in all a nice cute bracelet. I am sure I will cherish it :).